Vampyr was not rather familiar to me. I have seen some gameplay videos and photos and Vampyr didn’t quite seem to be my cup of tea — thinking — how it reminded me of Bloodborne (and I don’t like those kind of games). The vampire–theme was largerly popular from 2008 (when movie Twilight came out) to around 2014. Countless movies and TV–series popped up like mushrooms — felt like it was vampire epidemic!! When Vampyr was released I saw good reviews of it and lots of gameplay videos. I decided to buy it and try it. My very first impression of everything was OK; nothing super special. When I played bit more and got to see all the moves, upgrades, items, weapons, long dialogs, I was little baffeld. After playing couple hours the whole theme and ensemble became clear and, I, became ready to kill. Player wakes up in a mass grave in London, 1918. An epidemic has taken over the city and people are dying like flies. Something woke you up and you crawl your way out of the pit. You see your sister; she is looking for you. You’re hungry — hungry for blood and you need to be fed right this instant!! Without hesitating you bite her to the neck and drink her blood until she’s lifeless. Then you run away from soldiers and end up in a hospital and you realize that you are a doctor as profession and you become interested of what happened to you, and most importantly — who or what woke you up from the dead? 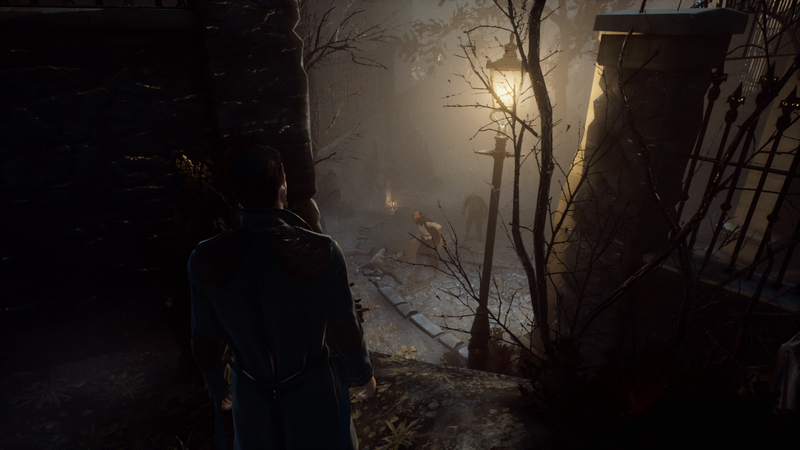 Vampyr is story of a man (a doctor) who takes care dying patiens of epidemic in a hospital, at night he goes out to speak with towns residents. He wants to know who made him as a vampire and why. Along the way comes tons of decisions to be made and missions that can take surprising turns in a heartbeat, if you even have one. 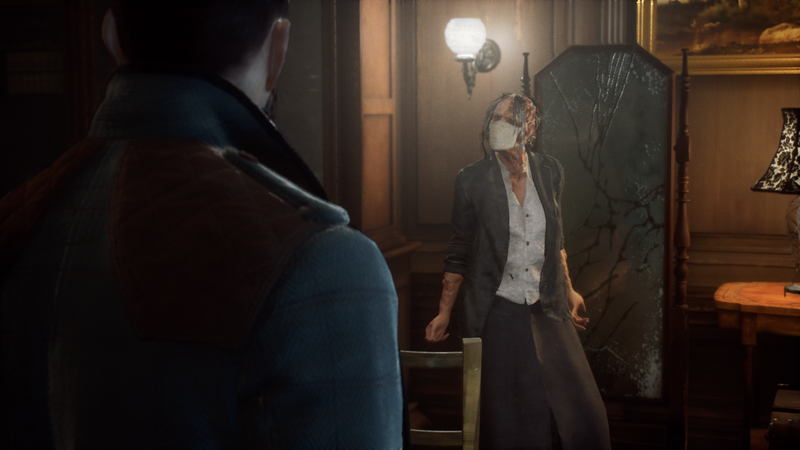 One of the main things in Vampyr is to talk to EVERYONE, and I literally mean it. By talking you’ll get to know their status: exp. points (you’ll get that if you kill him/her), blood status i.e. you can first heal him/her and let them live or drink their pure blood and gain better exp. points. You also see the mesmerize level that indicates the fact that are you able mesmerize that person or not. Mesmerizing is needed when you want to ’embrace’ the victim. You’ll need to take the victim out of sight to the darkest corner and then operate the kill. You can’t mesmerize/kill anyone due to the level you are at the moment. You can also gain exp. points by doing missions and everything in ‘nice way’ — it’s surely more fun to kill everyone :) The area always suffers from your actions and more enemies start to roam the dark streets making your gameplay tougher. Even though there are more enemies; you have upgraded your skills so the killing is easier. 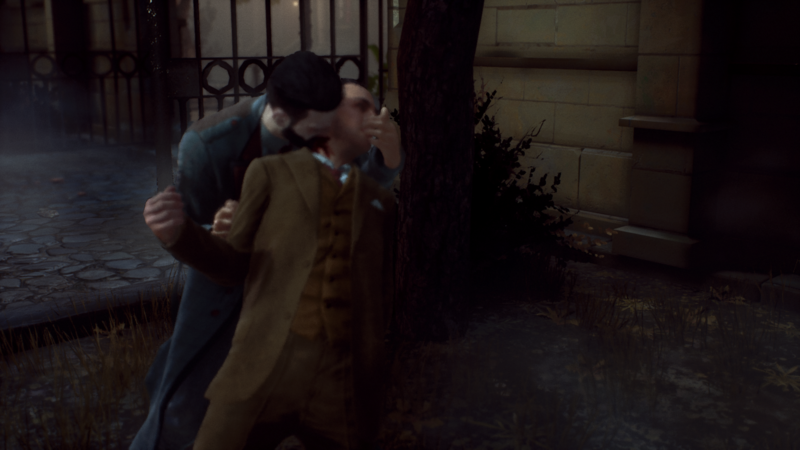 This is what I like in Vampyr. There is not simple ‘Easy’, ‘Normal’, ‘Hard’ to choose from; your actions and decisions makes the gameplay the way you kinda ‘deserve’ it. I tried to be nice but someway along the game I decided to kill some of the towns people and level up faster, and ending up killing… lots of them. The streets were full of enemies; vampire hunters and crazed vampires that only wanted your blood. Huge werewolfs and super tough vampires. Controls makes sense aren’ting difficult at all. Player can carry two ‘main hand’ weapons that can be changed in a fly, ‘off hand’ weapons that plays the same way as ‘main hand’, four ‘active’ moves, two ‘serums’ and finally an ‘ultimate’ move. It might sound lot but if you look PS4 controller they all fit there perfectly. Figthing became easy when I mastered it after while of playing. Most important was trying to hit enemy with ‘off hand’ weapons to take their defense down and then I could use my ‘bite’ move to drain their blood + making damage. I used one ‘main weapon’ throughout the whole game upgrading it to the gods. If I lost health, I bit the enemy, got their blood and healed myself. Stamina always drained out in a blink of an eye that’s why I upgraded it heavily in the beginning. I recommend to do that. 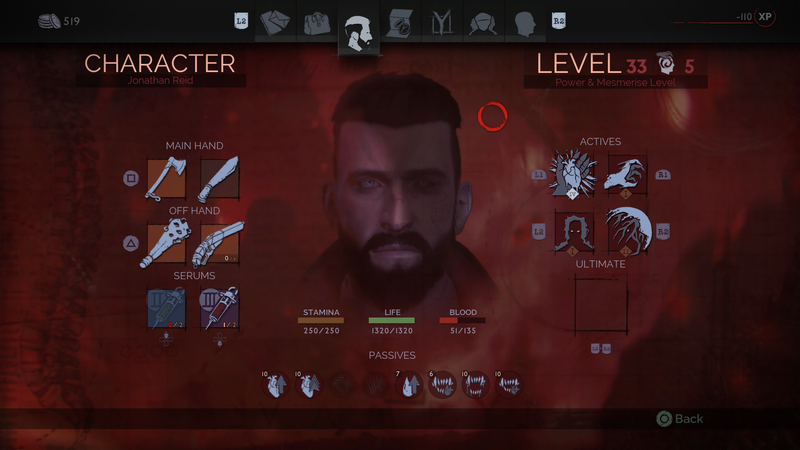 Upgrading passive stats are various and player can choose which way to evolve the character. 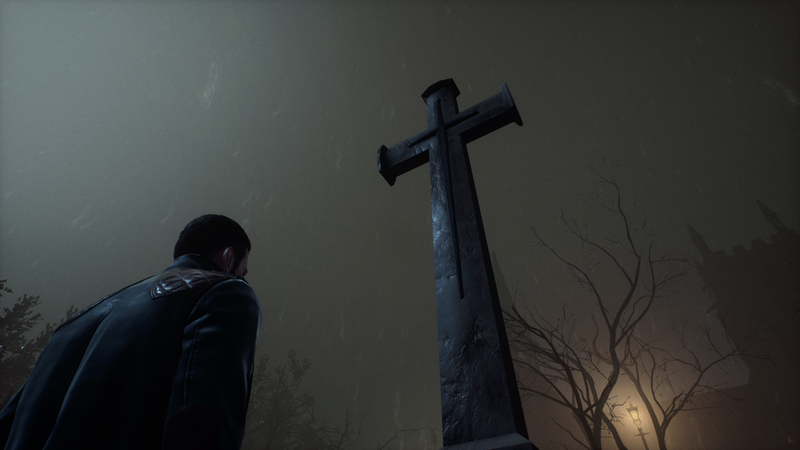 There is something different in Vampyr. I noticed the game uses some sort of filter or effect that ‘softens’ or ‘blurs’ the graphics (you can see this if you click some of the images to full resolution). That’s why Vampyr looks nice and not ugly at all. Usually if you look something close in video games the object looks awful such as grass, leaves and bushes, but Vampyr uses some trick that smooths everything nicely. Environment is detailed even though the game takes place at night time only (since vampires can’t withstand sunlight) and everything looks dark. I have to say this was one of the smoothest game I’ve played in long time. The most perfect and gorgeous graphics this has not, but what it offers has been made the best way possible. Have to note this is PS4 Pro enhanced, meaning I have no info how it looks graphically in PS4 –console. After battery drain empty in my wireless headset I used my external speaker. I realized I don’t need headset at all. The game is — I’m not saying it’s linear or cramped — easy to navigate and there aren’t any huge single areas, so you know where the enemies are when you’re fighting with them, hence needing the headset to hear them is unnecessary. Voice acting is impressive and it’s funny to listen different kinds of Great Britains accents and trying to figure out where they are from. The background music became rather dramatic to me. It was good thing, though, when luring a victim to a dark alley the music gradually becomes louder and stronger and when finally killing the victim the music and dramatic choir singing to the heavens. At the beginning it was difficult to maneuver everything; the upgrading system, gathering exp. points, figthing scheme and wandering on dark and gloomy streets (player has a map to use) and getting right items to upgrade weapons. All these were actually very simple and not packed with anything extra (maybe few moves too much) making everything sense. Difficulty is based on how you play; what is your choices when speaking with towns people, who you kill, who you turn, who you spare. Yes, it was very hard to make decisions sometimes. Making ‘wrong’ decisions or killing people can erase missions they would’ve had. 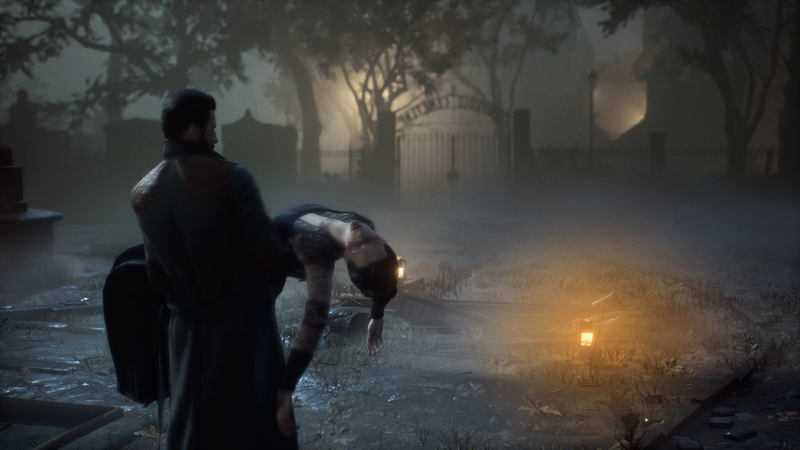 If someone wants to play Vampyr 100%, there are lots of things to do differently when re–playing it. It takes aeons of work and many re–plays since there is at least four different endings. you become interested of what happened to you, and most importantly — who or what woke you up from the dead? This is on my holiday purchase list. I too didn’t have high expectations for this game but it looks like an experience in the vein of Dishonored. I enjoyed Dishonored. I only have one question. How long is this game? What was the total play time? I have to apologize, I couldn’t find any data of it. Not in-game or even looking the save file. It honestly should be there as almost all games has that option. If I make rough estimation I think I played Vampyr not less than 20 and not much over 30 hours. Sounds good. I appreciate the response.